‘The Church sees through a glass darkly; but it sees none the less. These are the two components that Catholic Christianity seeks to hold in tension. Say too little, and you may betray the costly demands of the gospel. Say too much, and you risk sounding fanciful or authoritarian. 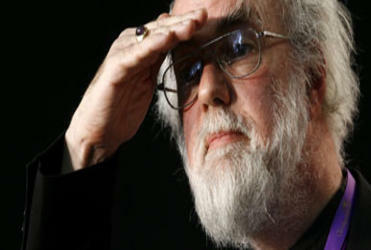 [Rowan] Williams has been charged at one time or another with straying in either direction’. So wrote Rupert Shortt in his book Rowan Williams: An Introduction (p. 5). This week here at Per Crucem ad Lucem I will be posting two guest posts that attend to this seeing and saying in the theology of Rowan Williams. Stay tuned.